If you’re in the mood for a classic movie this Halloween, I’ve got five picks for you! This is my latest installment of Great Classic Films for various occasions and audiences. 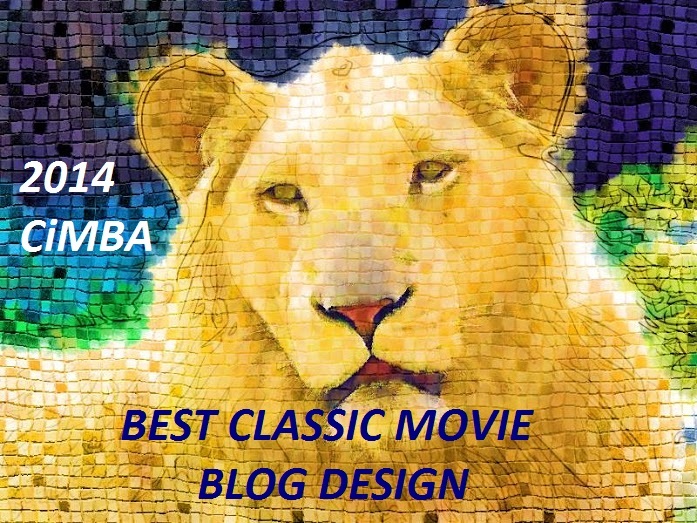 You can find my other entries including Great Classic Films for the Fourth of July, Christmas, Date Night and Kids here. Quick disclosure: I have a wimpy child’s tolerance for scary movies, so none of these are that scary, nor do they even approach “horror.” So if you want to be terrified, this is not the list for you. But if you want to be creeped out by a spooky classic movie, keep reading! When this classic film noir begins, the title character (Gene Tierney) has already been murdered in her apartment. A wonderfully ordinary, constantly fidgeting detective named McPherson (Dana Andrews) is assigned to catch her killer. The suspects include Clifton Webb, Judith Anderson, and that fixture of horror films, Vincent Price. Through flashbacks and solid detective work, McPherson tries to reconstruct Laura’s life and determine who killed her and why. But soon his professional interest in the victim crosses the line from duty to obsession. I won’t give spoilers, but this is a must-watch murder mystery. Creepy, oddly funny, and haunting, with a tremendous cast directed by a master of the genre, Otto Preminger. Here’s the trailer. Fun fact: David Raksin composed the film’s score, including the song “Laura,” which would go on to become a jazz standard. To buy this film, click here! Not all of the films on my list have girls’ names, I promise. This movie was adapted from Daphne du Maurier’s 1938 novel, and stars Joan Fontaine as the shy, self-conscious girl swept away by wealthy, sophisticated widower Maxim de Winter (Laurence Olivier). All is flowers and romance until Fontaine (who never gets a name in the film and is referred to as the second Mrs. de Winter– creepy!) and Maxim return to Manderley, his ancestral home, to start their new life together. 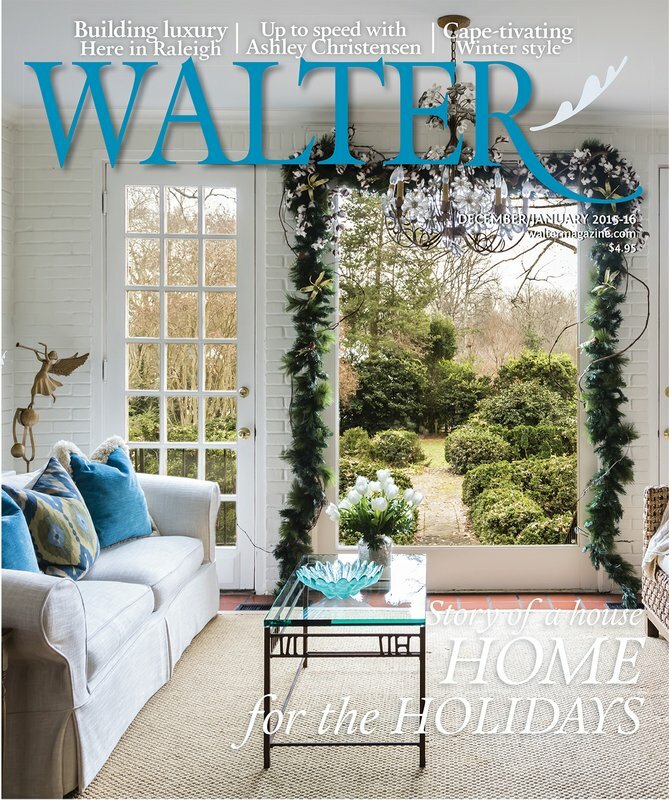 Maxim still seems haunted by the death of his first wife, Rebecca, and the house and its staff, led by terrifying Judith Anderson, are unwilling to welcome the new wife. Fontaine is so unlike the confident, vivacious, perfect Rebecca she keeps hearing about, and although she struggles to adapt to her new role, something always goes wrong. It’s a creep fest: there’s nothing like a distant, angry husband, an obsessive, demented housekeeper, a monstrous Gothic mansion, a ghostly presence, and dark, swirling waves to give one chills. 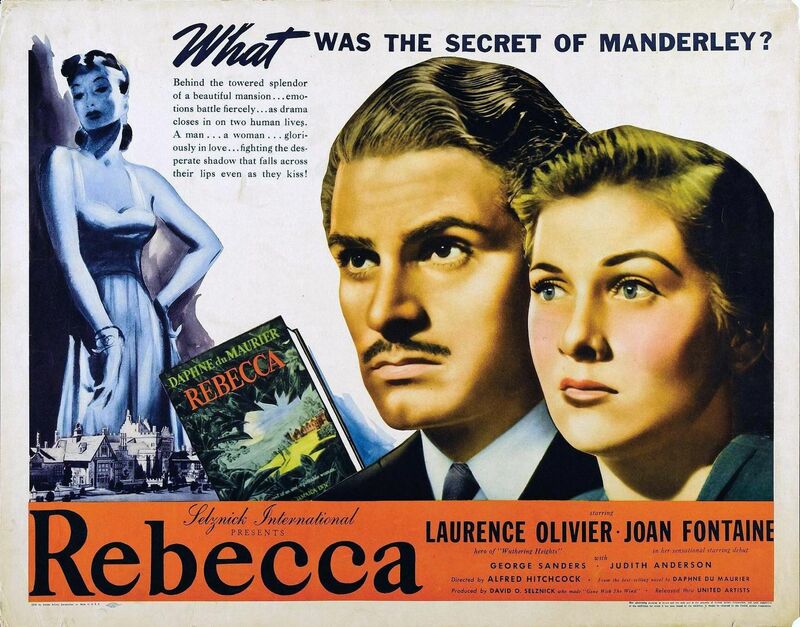 Plus, Rebecca was directed by Alfred Hitchcock. Here’s the trailer, and you can find my full review of the movie here. 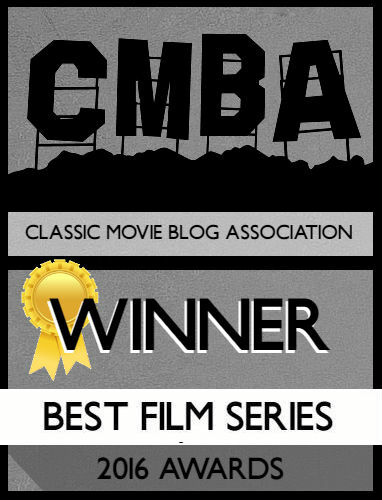 Fun fact: Rebecca was Hitchcock’s first Hollywood film and his only movie to win Best Picture. To buy this great movie, click here! This movie is so strange. There’s something vaguely off and almost cartoonish about it, which only adds to its skewed charm. It concerns henpecked bank employee Chris (Edward G. Robinson) whose only escape from his awful wife and his dull existence is painting. 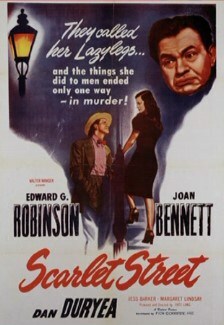 One night, he meets a prostitute (though he doesn’t realize it) named Kitty (Joan Bennett). 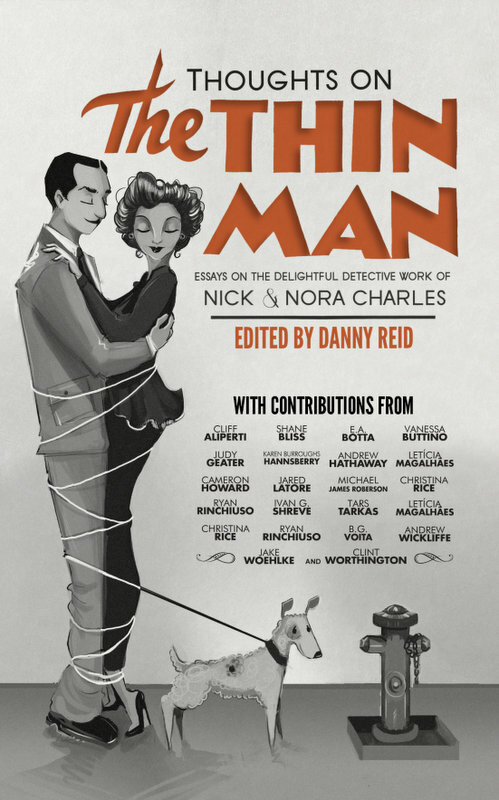 He quickly falls in love with this lazy femme fatale, and Kitty encourages him because she thinks he is a wealthy painter, not a bank clerk. Kitty and her boyfriend/pimp, a disturbingly likable, slimy scumbag named Johnny (Dan Duryea) hatch a plan to get as much money as they can out of Chris, who finds himself stealing to meet Kitty’s demands. When Kitty tries to sell one of Chris’ paintings, an influential critic sees it and proclaims it a masterpiece. Kitty claims that she painted it, and soon “Katherine March” is the darling of the art world. Then things really get crazy: murder, embezzlement, blackmail, returns from the dead, and some of the creepiest voiceover hallucinations I’ve ever heard. It’s a seedy, weirdly funny, slightly campy film noir with some nightmarish twists. Bennett and Duryea make a delightfully awful pair, and Robinson is terrific as a naive nice guy whose life goes horribly wrong. 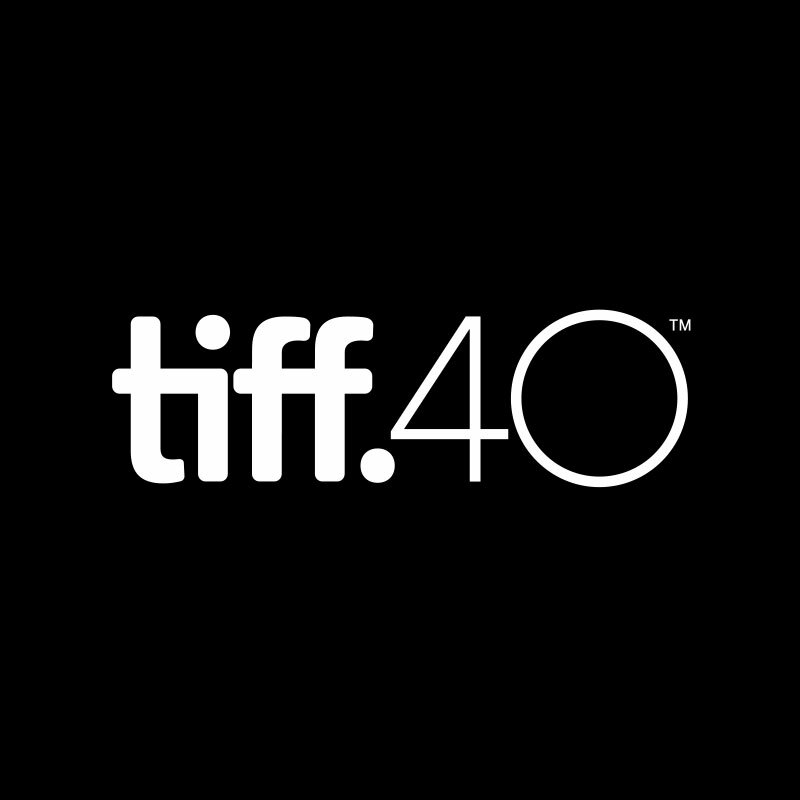 Here’s a clip, and you can stream it now on Netflix. Fun fact: this movie was directed by Fritz Lang, another master of film noir, who’d previously directed all three of his Scarlet Street stars in The Woman in the Window (1944). Another fun fact: this film was considered to be so immoral and sordid that several cities banned it when it first came out. To buy this movie, click here! This George Cukor directed film is a sinister, suspenseful mystery set in foggy Victorian London. It stars Ingrid Bergman as Paula, a young woman whose aunt and guardian was a world famous singer who was brutally murdered in their London home. About ten years after the murder, which has remained unsolved, Paula meets Gregory, a charming pianist (Charles Boyer), and before we know it, the pair are married and moving into the aunt’s house in London. (Seventeen-year-old Angela Lansbury makes her film debut as their saucy Cockney housemaid, so look out for that.) But healthy, vibrant, deeply-in-love Paula suddenly begins to weaken. Her memory seems faulty, she can’t account for some of her actions, and soon she has trouble even leaving the claustrophobic house. Paula is losing her mind, and Gregory is losing his patience. A police detective (Joseph Cotten) takes an interest in these strange goings-on, and realizes that something is terribly wrong. And that’s where I leave you. Here’s the trailer, and you can visit my full review here. 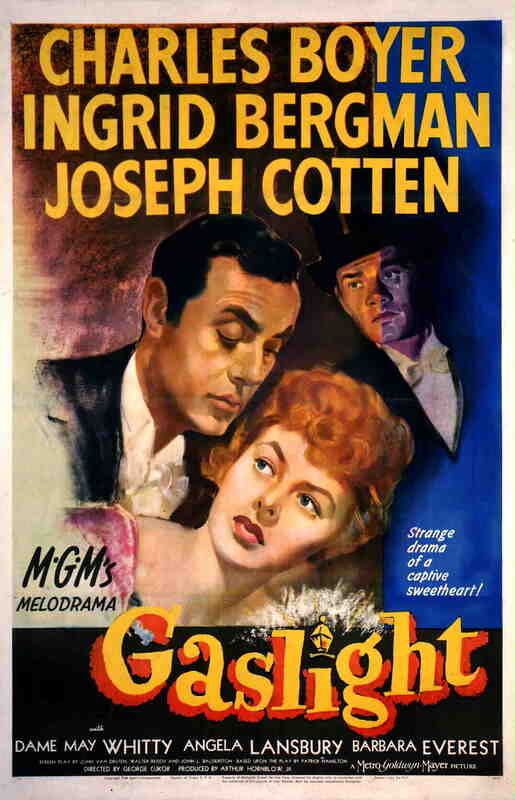 Fun fact: this psychological thriller-mystery helped popularize the term “gas lighting” to mean a type of psychological abuse where one manipulates another person into doubting his own reality and sanity. To buy this great film, click here! This is a legitimately scary film. It’s such a part of our consciousness now that even if you haven’t seen it, you probably know what happens. 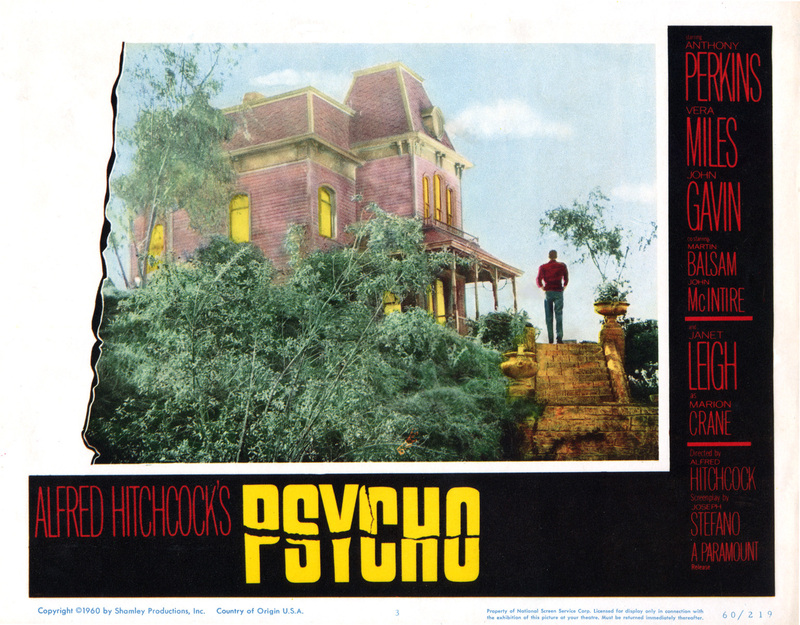 But it is still worth watching, because Hitchcock, Anthony Perkins, Janet Leigh, Vera Miles, and Bernard Herrmann’s chilling score are so brilliant. Marion (Janet Leigh) steals a great deal of money from her employer and flees. She makes the terrible decision to stop at Bates Motel, where she meets the gentle proprietor, Norman Bates (Anthony Perkins). And very bad things happen. Psycho is a classic horror film for a reason, and it still manages to terrify even if you know what’s coming. Plus, it’s Hitchcock, so it’s an incredibly dense movie full of symbolism, foreshadowing, psychological elements, and layers and layers of meaning. Here’s the trailer. Fun fact: Psycho is Hitchcock’s most profitable movie by far. To buy this film, click here! If you want something a little more German/silent/Expressionist, then consider The Cabinet of Dr. Caligari. Roger Ebert called this movie the first real horror film, and it’s definitely an otherworldly nightmare. A carnival comes to town with Dr. Caligari and his sleep-walking, hypnotically controlled servant Cesare who lives in a cabinet/coffin. Hence the title. Strange murders and abductions rock the little village, the asylum comes into play, and it all takes place in a world of Expressionist landscapes and tilted, abstract sets. This movie is a strange dream of twists and turns and flashbacks and flash forwards in a distorted world. It remains extraordinary, unequalled, and very creepy almost a century after it was made. Here is a clip. Fun fact: Cesare is played by Conrad Veidt, whom you may know as Major Strasser in Casablanca (1942). To buy this crazy movie, click here! Happy Halloween! For more, follow me on twitter, tumblr, pinterest, and Facebook! 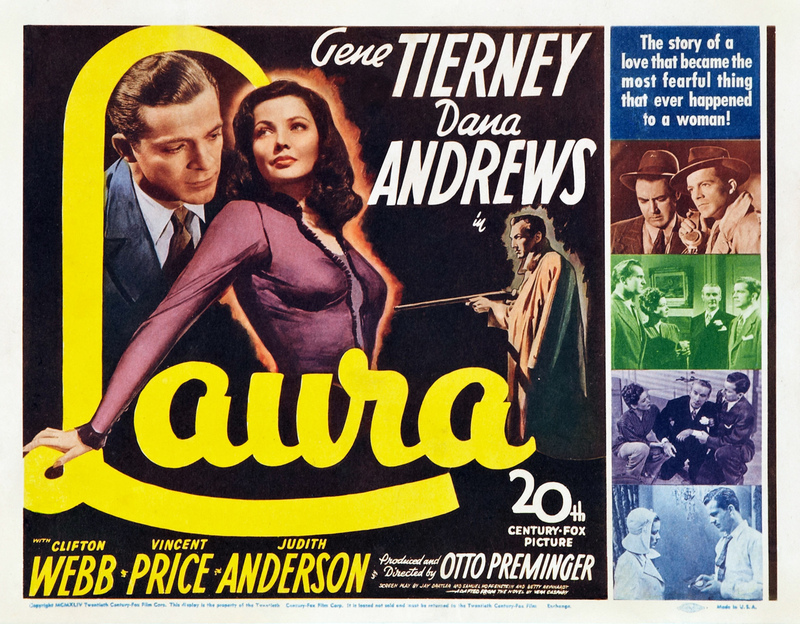 Was all set to issue a stinging rebuke to The Blonde re: her failure to acknowledge Johnny Mercer for writing the haunting lyrics to “Laura.” But then I did a little research and discovered that Johnny penned the words AFTER the movie came out and AFTER the song had begun getting airplay. So the rebuke has been withdrawn. I once again stand humbled in the presence of The Blonde. “Laura. . .is the face in the misty lights. Footsteps that you hear down the hall. The love that floats on a summer night. That you can never quite, re-call.” Sweet little double rhyme in that last line. Johnny was really good. Haha, thanks, Tim! Johnny Mercer can’t be beat! What a great alternative list! No monsters (well, it depends on what you call Norman Bates) but still a lot of chills for Halloween. 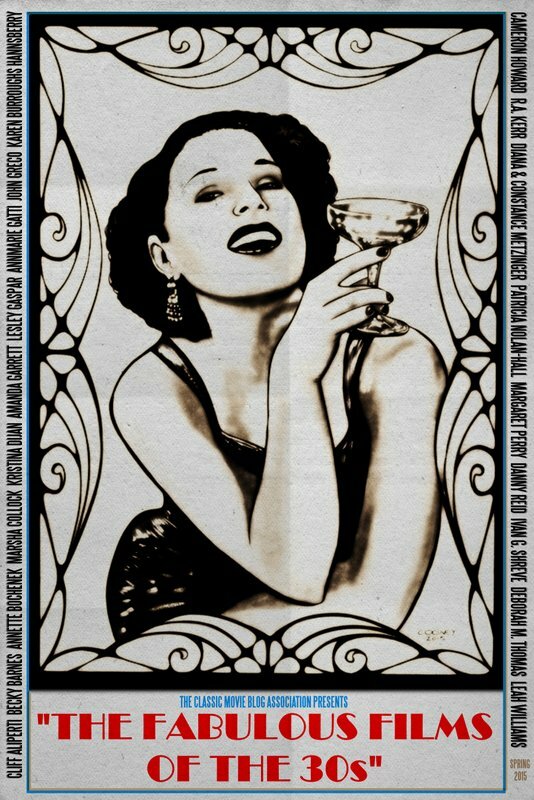 I think Rebecca is a great choice, but this year I’m willing to see something with scream queen Fay Wray. Thanks, Le! For some creepy Fay Wray, I turn to The Most Dangerous Game (1932)! Thanks for stopping by!